Being updated... New listings soon! The aim of this project is to organize a series of round-tables, debates, and seminars with active youth of the Gjilan region in areas of culture, sports, and youth development. As the initiator and implementing partner for this project, KPPC in cooperation with the Ministry of Culture, Youth, and Sports as well as other local stakeholders will draft a report with key recommendations and concerns raised by participants of the project activities. The report will help the government and other stakeholders of youth issues to better address the needs of youth in Gjilan in particular and in Kosovo in general. Please, feel free to contact us if you need / want more info on this project. After the completion of the Support to Implementation of the Kosovo Youth Action Plan (SIKYAP) project, sponsored by UNDP and UNV in Kosovo, a Kosovo-wide survey was launched to gain insights into volunteerism and youth activities across Kosovo. The target population was Kosovo youths between the ages of 14 and 25. KPPC was selected, through a competitive bidding process, to both undertake the survey and write up a report based on the survey findings. Once the questionnaire was finalized in close cooperation with UNDP/UNV Kosovo, KPPC interviewed a total of 1200 targeted respondents from all Kosovo ethnicities across Kosovo. 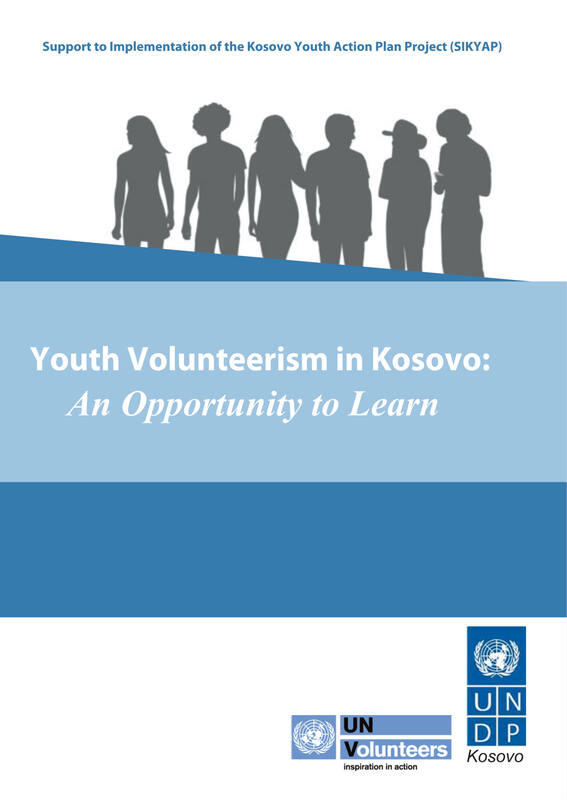 The findings of the survey have been presented in the "Volunteerism in Kosovo: An Opportunity to Learn" report (available in English, Albanian, and Serbian), which has now been approved for release by UNDP/UNV in Kosovo. The 2008 Kosovo Human Development Report focused on Civil Society and Development. The complete report can be found here. After the national launch of the Report that took place in April 2009, chaired by the UNDP Resident Representative and UN Development Coordinator, Mr. Frode Mauring, where the keynote speaker was the President of Kosovo, Dr. Fatmir Sejdiu, a series of regional launches took place across Kosovo. KPPC was selected to organize and facilitate these regional launches where local NGOs, local government representatives, and other local stakeholders were invited to participate and discuss KHDR 2008 findings. KPPC was also tasked with providing an overview of discussions from each regional launch. These findings were published in the KHDR 2008: What Local Actors Have to Say report. This project was sponsored by UNDP Kosovo through SDC Kosovo funds of KHDR 2008.